Five finalists were announced for William Jewell College’s treasured Faculty Award. Seki Anderson, Caris Boegl, Jesse Lundervold, Erin Melton and Grace Miller were selected out of the thirteen students who applied for the award. The Faculty Award is a time-honored tradition at Jewell, given to one senior each year who best exemplifies the ideals of a liberal arts education. Thirty-seven seniors had the required 3.75 GPA and were consequently eligible for the Award. Still, the application requires much more than good grades. Dr. David McCune, assistant professor of mathematics and the 2018 Faculty Award Committee chair, outlined two main qualities the Committee looks for in applicants. “First, academic excellence … Past recipients have done things like present their work at conferences, receive significant scholarships based on academic achievement, be a co-author on a publication, etc. Second, as part of the application process an applicant must write an essay stating what she thinks the selection criteria for the Award should be and how she fulfills those criteria. Since the Award goes to the senior who ‘most exemplifies the ideals of a liberal arts education,’ we are interested in seeing an applicant think through what that means,” McCune said. The Award is extremely well-respected on campus, and each of the applicants kept this in mind when deciding to apply. The sacredness of the Award was a driving factor for finalist Seki Anderson, senior biochemistry and Applied Critical Thought & Inquiry major. 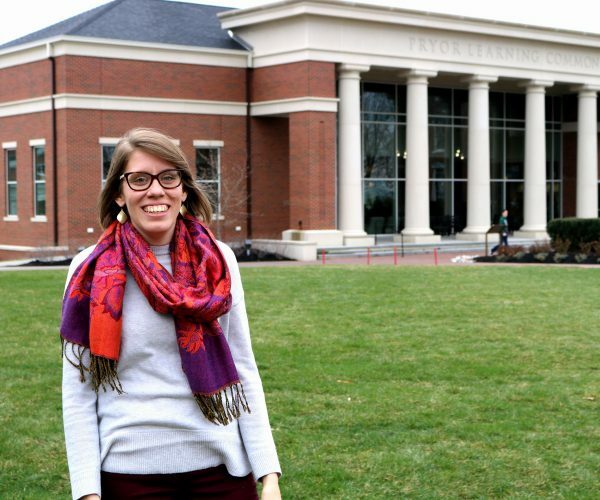 While Anderson anticipated the application since her sophomore year, Erin Melton, senior Oxbridge Literature & Theory major, didn’t foresee herself applying for the award. “Honestly, when I first saw the email, I was almost certain I wouldn’t apply. I didn’t think I had any of the qualifications I needed other than the GPA. But when I read the application essay prompt, I realized it would be really fun for me to write on that topic. So I decided to apply to write a fun essay,” Melton said. The application process for the Award is rigorous in order to discern the best recipient. After a thorough review of the paper applications, which include the applicants’ leadership positions, awards, service activities, career goals and essays, the Committee picks six to ten semifinalists. The semi-finalists must get two letters of recommendation and go through an interview process. After considering the letters of recommendation, paper applications and interviews holistically, the council picks five finalists and, later, one winner. 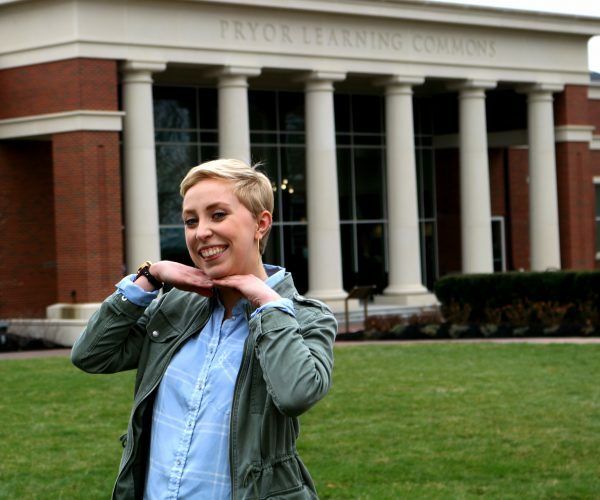 For Caris Boegl, senior Oxbridge Institutions & Policy and international relations major, the application process has given her a way to reflect on her journey at Jewell. The interview process was nerve-wracking for the finalists. Anderson was intimidated by the six-professor board of interviewers and felt the questions that tested her thought process were the most difficult part. Aware of the intensity of the interview process, Grace Miller, senior psychology and Spanish major, entered the process intent on not letting her anxieties inhibit her. “Right before I received the email that said I had made it onto the interview round, I had this calming thought of ‘I just need to try my best.’ What this meant for me was that no one else’s opinions, nor thinking about what someone would ‘want’ to hear was going to affect my answers or what I said during the interview,” Miller said. After they received the email that informed them that they were finalists, most were shocked. Each finalist was honored to be chosen among other accomplished students. 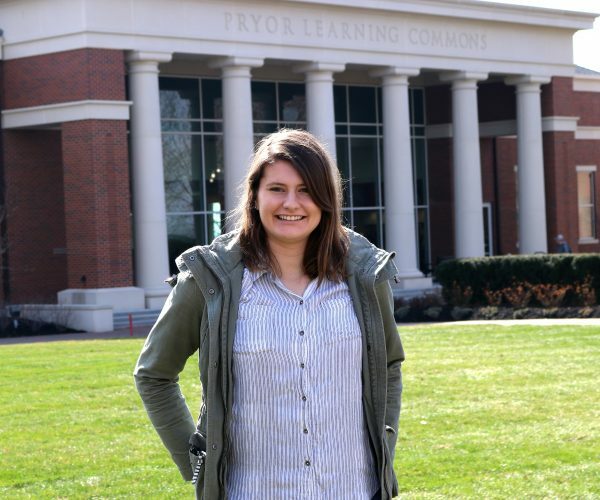 Jesse Lundervold, senior chemistry and studio art major, described the strangeness of being selected, since she has admired the Award and its significance since her first year at Jewell. “It’s very surreal to know that I have been selected as a finalist. I still very much remember seeing the Faculty Award finalists on stage my freshmen year and hearing about the variety of achievements each of them had earned,” Lundervold said. All finalists are female, as Melton proudly pointed out. “I think this is an important platform from which to note how rare it is that any group being thus celebrated is all, or even mostly, women, so, again, that is what I’m most excited about with regard to being part of this group,” Melton said. The five women intend to pursue ambitious and diverse paths after their graduation from Jewell. Accepted as a City Year AmeriCorps member, Seki Anderson will be mentoring local primary or secondary students. 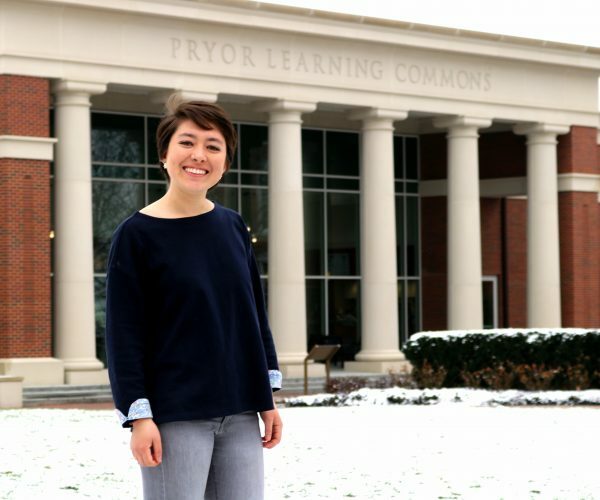 Interested in working with refugees from the Middle East, Caris Boegl plans to attend a two-year program at Georgetown University, pursuing a degree in Arabic studies and with the aim of achieving fluency in Arabic. Jesse Lundervold, still unsure of which school she will attend, plans to attain a Ph.D. in chemistry. Erin Melton will be accepting an AmeriCorps position doing fundraising and marketing for Habitat for Humanity in La Crosse, Wisconsin, until 2019. 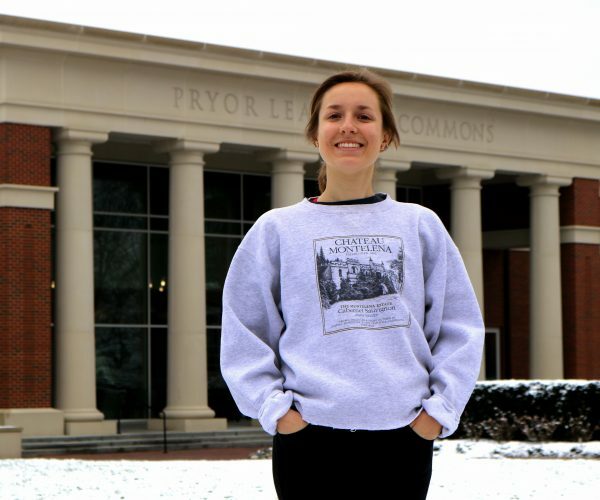 Afterward, Melton will attend the London School of Economics and Political Science where she will study International Social and Public Policy. While Grace Miller has no concrete plans now, she wants to apply her interests in psychology and statistics to one of her passions – helping her community. The winner of the Award will be announced April 20 during the Honors Convocation in Gano Chapel at 7 p.m. Photos by Sofia Arthurs-Schoppe. Feature photo courtesy of William Jewell College.